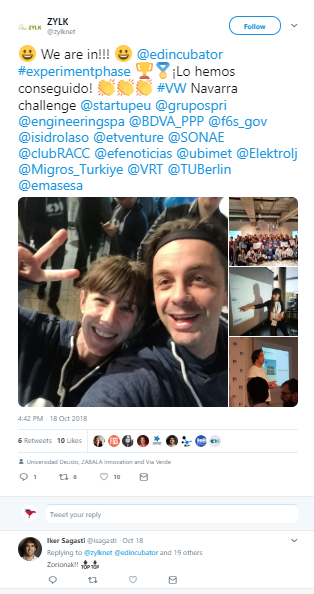 What happened at EDI Berlin? 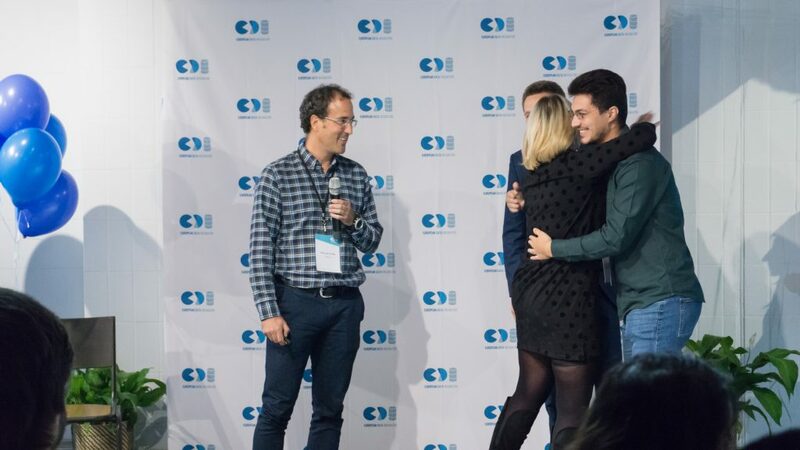 Take a sneak peek and find out which 16 winning startups are accelerating on to Bilbao! 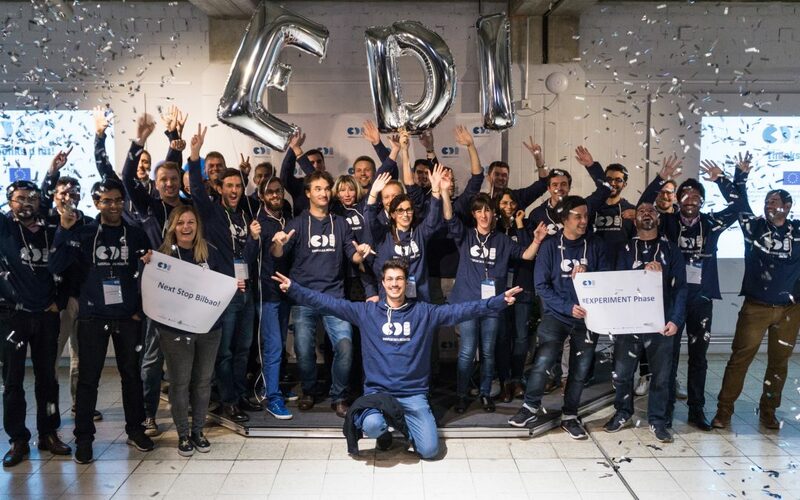 On a fresh October 17th morning, the 30 ‘Big Data’ startups selected to take part in the EDI Incubator began to arrive from all over Europe at the etventure headquarters in Berlin, Germany. 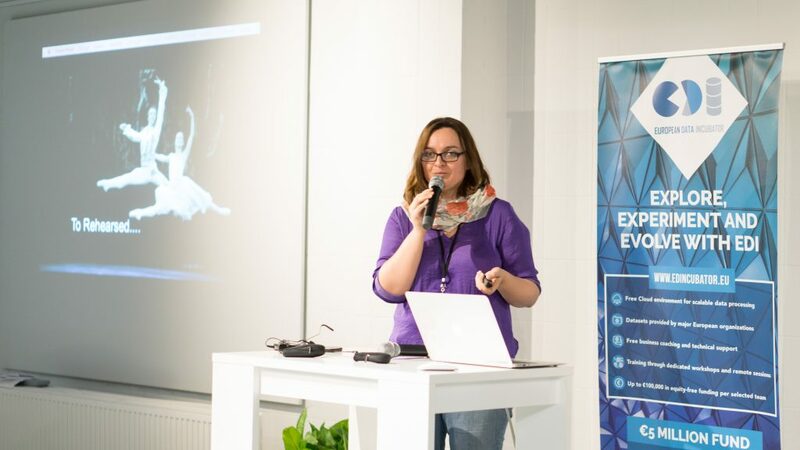 These 30 startups had travelled from 28 cities to be here, hailing from Istanbul to Athens, from Rome to Plzeň. 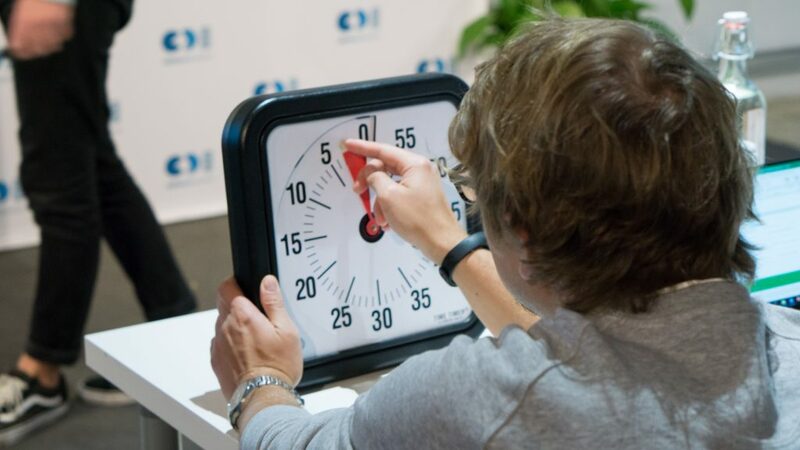 This diverse and innovative group of startups and SMEs had beaten 121 other teams with their creative solutions to real world challenges presented by large corporates like Volkswagen and RACC motoring club. 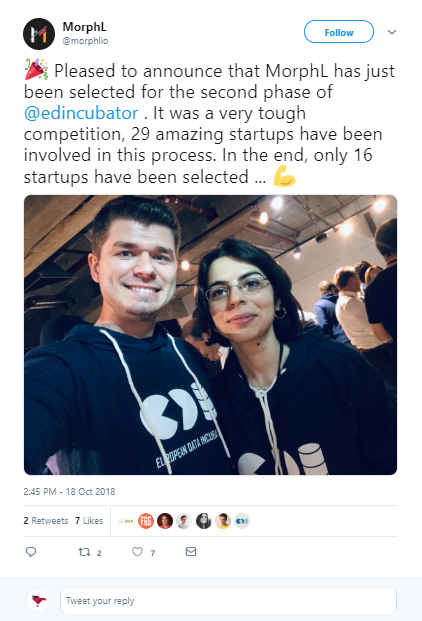 Their unique solutions to these big data challenges meant that they were selected to take part in the EDI incubation programme alongside some of the top ‘Big Data’ startups in Europe. 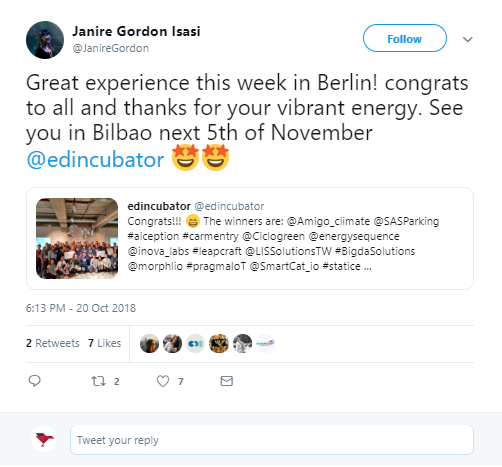 Coming to Berlin for the first ‘Explore’ phase of the three-phase EDI incubation programme was the start of journey and their chance to prove that they could pass to the next ‘Explore’ round in Bilbao. Over the next two days, these teams would receive mentoring, pitch training, explore the Berlin way of working, network with the other startups, receive up to 5k euro in equity free funding, have access to a cloud system to boost their work and finally connect in person with the large corporates whose challenges they were solving. The first day of EDI incubation kicked off with a welcome meeting by Et Venture, to calm the startups’ nerves and run over the programme for the next two days. 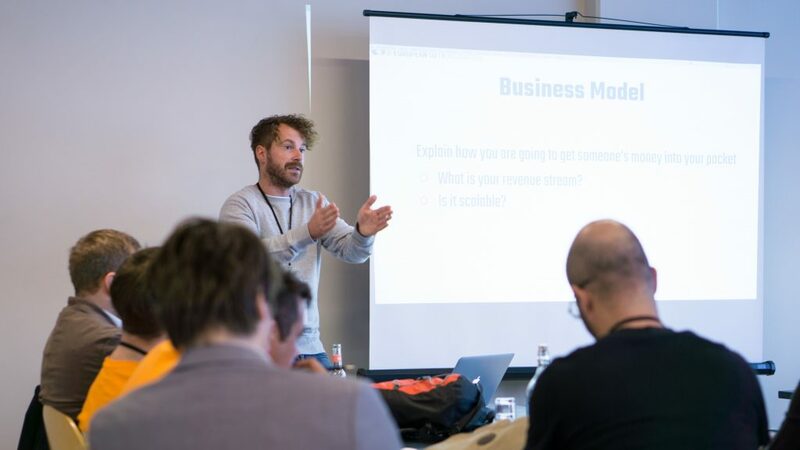 The startups then jumped straight into an intensive pitch training. 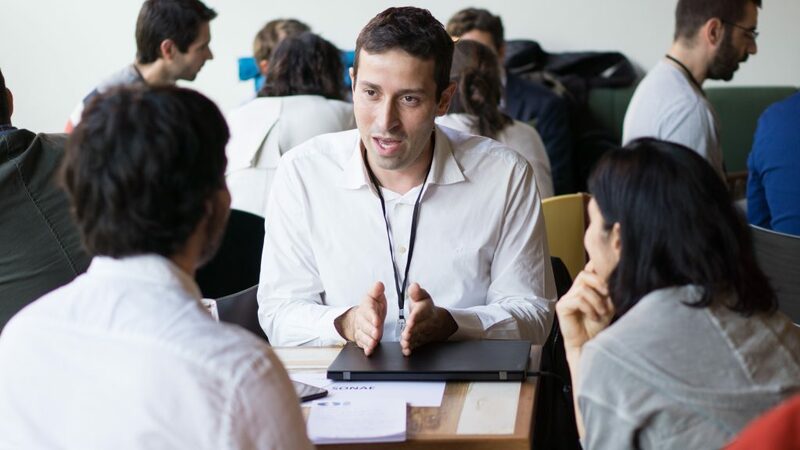 Run by 3 specialist mentors, the startups received top tips on what to do (and what not to do) when preparing their pitch. Of course, the all-important pitch test was to come on the second day. 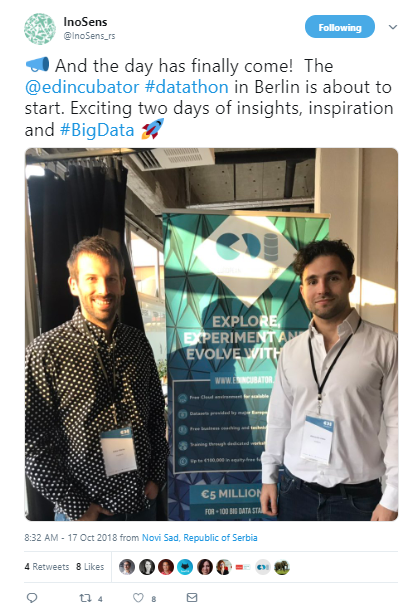 This series of 3-minute pitches would make or break their chance to go forward to the ‘Explore’ phase in Bilbao, which meant the opportunity to continue developing their Big Data solution with their new corporate partners, formulate a solid business plan, take part in more trainings on Big Data infrastructure and receive up to 80K euro. The second half of the morning was filled with meetings between the data providers, startups and the EDI tech jury. 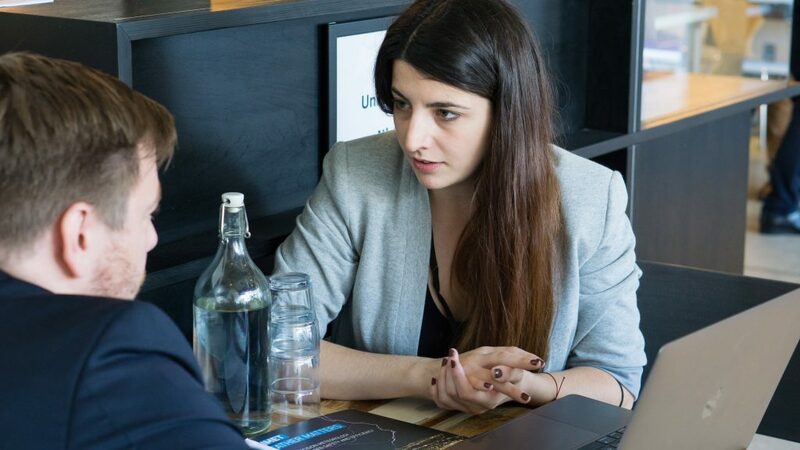 These meetings allowed the startups to introduce their technical solutions in personal 1:1 conversations. After having time to eat lunch (vegan or chicken thai curry!) and refresh their thoughts, the startups then dove straight back into a pitch training in the afternoon, to help them prepare the perfect presentation for tomorrow. Early in the morning, the judges of the pitch test gathered ready to soak in and grade the startups’ pitches. 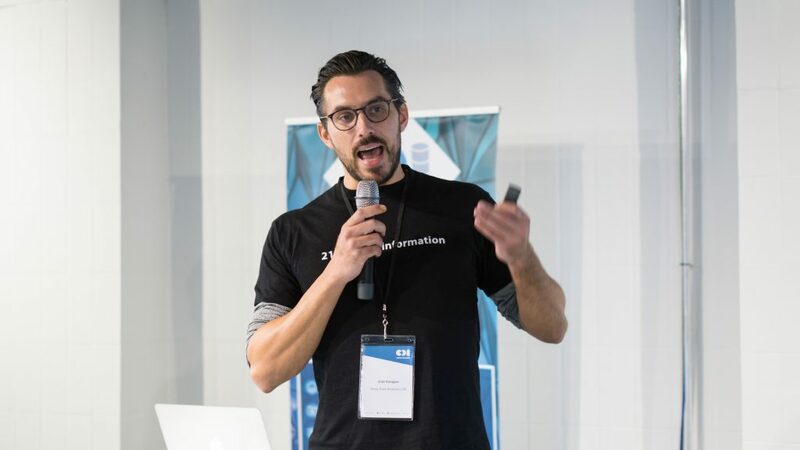 Before starting, data expert Marc Weimar-Hablitzel and serial entrepreneur Florian Wilken shared their stories on stage to inspire the participants for the upcoming journey. 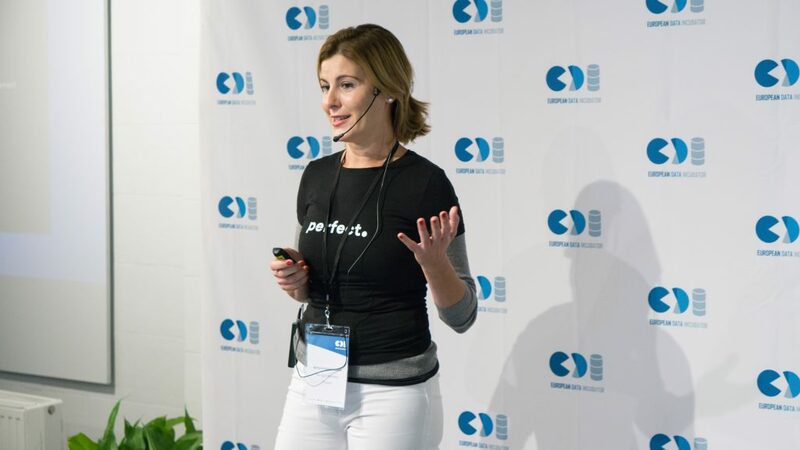 Then, armed with a microphone, a small stage and yesterday’s preparation, a representative from each startup braved the spotlight to showcase why they should be selected to go forward to the next phase. 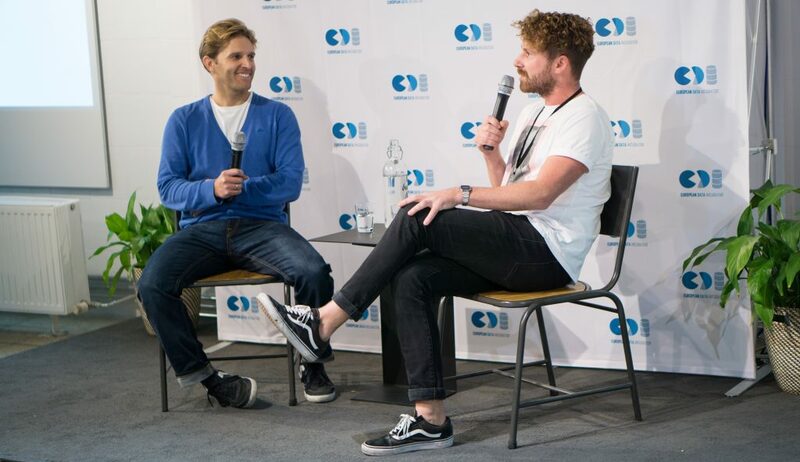 Whilst the judges made up their minds, the startups calmed their nerves with a Fireside Chat “Lessons Learned with Entrepreneur Florian Wilke”, on how to keep moving even when confronted with challenges. After a tough deliberation period, the judges finally announced the winning teams going to Berlin. Each startup who participated had impressed the judges with their tenacity and ability to work under pressure, and should be proud of their achievements! 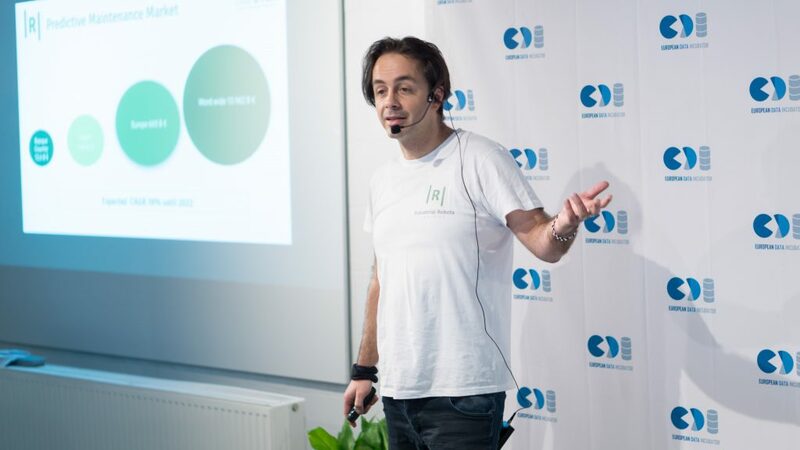 In total, 16 startups were selected to go through to the next round, Amigo Climate, Accelogress, Aiception, Carmentry, Ciclogreen, Energy Sequence, Inova labs, Leap Craft, LIS Solutions, Bigda Solutions, MorphL, Pragma-IoT, SmartCat, Statice, Summarize Bot, Zylk. 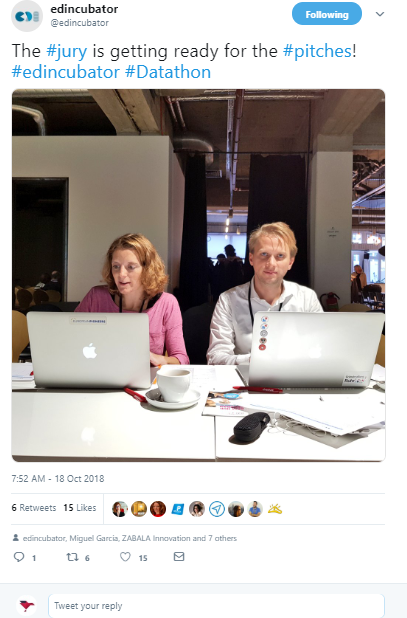 What did the startups say? 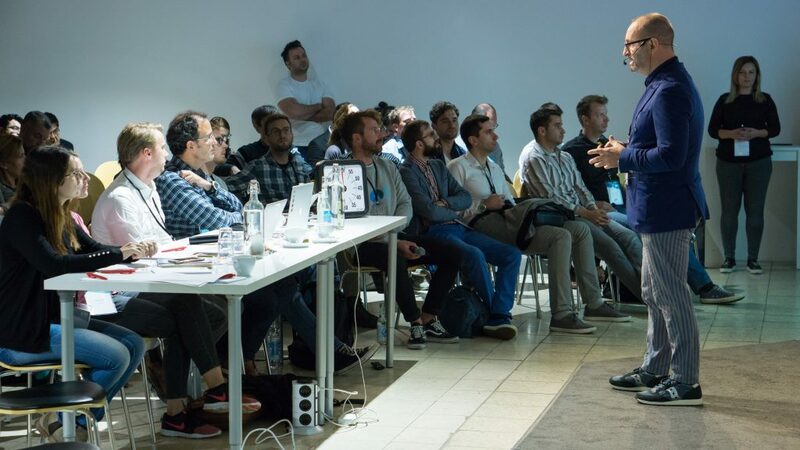 Here are some quotes from the startups who took part in the ‘Experiment’ phase in Berlin! A big thank you to everyone who took part, and we are already excited for the next ‘Explore’ phase of EDI incubation in Bilbao, from 5-9 November 2018! Throughout the programme, the EDI startups were very active on social media, posting photographs, video and quotes of their experience!